This episode of You’re the Expert is coming to you from Caveat in New York City. Our expert this week is Jennifer Basil, an expert on animal memory and the chambered nautilus at Brooklyn College. 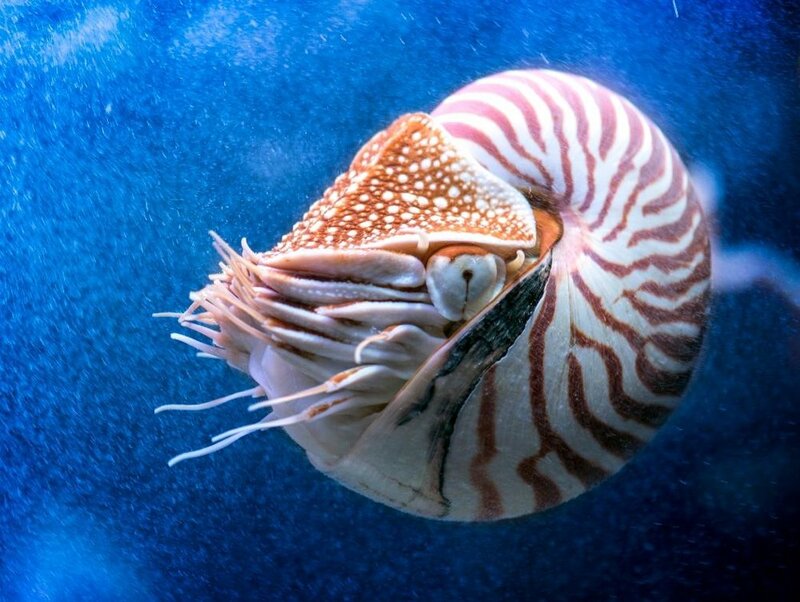 Before we get any further, here is a photo of a chambered nautilus! After receiving her Ph.D., for which she studied how birds remember where they've stored food, Dr. Basil moved to the Marine Biological Laboratory in Woods Hole, Mass., and studied sensory and navigation in a variety of crustaceans. That's where she began to study her current passion: the chambered nautilus. Her laboratory's area of focus is the evolution of complex brains and behavior and she uses cephalopod molluscs (like the nautilus) as her model system. - NOAA's answer to "What is a Nautilus?" - WIRED's "Absurd Creature of the Week"
- Bonus! A poem by Oliver Wendell Holmes called "The Chambered Nautilus"